For many decades, planned giving has been a powerful source of philanthropy for Hawken. The School formally recognizes all those who make estate gifts as being members of the Hawken Sheffield Society, in honor of the loyal support given over 60 years by Henry Sheffield, one of the School’s first trustees. Since its inception, more than 175 members have joined the Sheffield Society. The School has benefited from $9 million in estate gifts to support financial aid, faculty professional development and academic programs. We often hear from our alumni and their parents that of all the schools attended, Hawken had the most profound influence on developing character and intellect. They tie it all back to a dedicated faculty and the notion of Fair Play. We also hear “I wish I could do more” from donors across the country - something over and above the annual fund and capital campaigns. The reality is that donors can make a real difference in the future of the School by leaving a legacy gift through their estate. This is the ultimate expression of a deep appreciation for the faculty and staff who mentored, taught and befriended them on their life journey. Now, more than ever, is a good time to start planning a legacy gift to Hawken School. Russ Lincoln ’64 and his wife Connie believe so strongly in the importance of increasing the School’s endowment through estate gifts, they are offering to match 10% of any new or increased planned gift made known to the School and documented with a simple Bequest Intention Form. To our current members of the Sheffield Society, we extend a heartfelt thank you! If you have already included Hawken in your estate plans but have not yet told us, we encourage you to do so. We find that most donors like to receive recognition during their lifetime for their generosity and know that their gift will be put to good use. We would love to welcome you as a Sheffield Society member. For more information, please contact Jeffrey M. Biggar ’68, Co-Director of Development at biggar@hawken.edu or phone 440.423.2084. Hawken is pleased to announce it is an organizational partner with The Cleveland Foundation, one of the oldest and largest community foundations in the country, which allows us to provide more professional resources to alumni, parents and friends of the School in making a planned gift. Through The Cleveland Foundation, we are now able to support donors who wish to establish a Charitable Gift Annuity to benefit the School. The payout is for the life of the donor and the payout rate is determined by the age of the donor. The minimum age is 60 and the minimum amount is $10,000. For more information, please contact Jeffrey M. Biggar’68, Co-Director of Advancement at 440.423.2084 or biggar@hawken.edu. One of the simplest forms of planned giving is a bequest to Hawken School that passes directly from your will. You may give any asset you own, such as stock, real estate, tangible personal property or cash. In addition, the bequest can be phrased as a percentage or share of your gross estate. Retirement assets can be subject to multiple levels of taxation. Because money invested in these plans is not subject to income tax when invested, income tax is due when the money is withdrawn. The combination of federal income and estate taxes can seriously erode the value of retirement savings; in certain cases, up to as much as 80 percent of the value of the plan. Donating retirement plan assets could be the most cost-effective gift you can make. Click here to view charitable gift annuity rates. A charitable gift annuity is a "life income" legacy gift that provides you or your beneficiaries with a fixed income stream for life, while ultimately benefitting Hawken School. The minimum age for a charitable gift annuity is 60. A deferred charitable gift annuity is similar to an immediate charitable gift annuity, with the exception that annuity payments are deferred to some future date of your own selection. These payments will continue for the rest of your life and/or the life of your spouse or another individual. The minimum age for a deferred gift annuity is age 45, and payments are generally deferred until you reach age 60. For a fully paid-up policy, name Hawken School as owner and primary beneficiary of the policy. New tax laws will exempt more estates from taxation over time. If you own life insurance policies that have built-up cash value but may no longer be needed for the payment of taxes or for their original purposes, such policies can also make convenient tax-deductible charitable gifts. A revocable trust is a legal arrangement that transfers ownership of your assets from you, the grantor, to a third party, the trustee. The trustee manages the assets on behalf of your designated beneficiaries. A revocable trust is used to maintain control over your assets during your life and control the disposition of them after your death through the trustee. This trust helps to avoid probate costs, maintain privacy and ensure that your wishes are adhered to both during and after your lifetime. Charitable remainder trusts provide for the payment of periodic income to a beneficiary for the beneficiary's life or specified term of years. Upon the death of the beneficiary, or the expiration of the specified term of years, the principal of the trust (remainder interest) is distributed to Hawken. Click here to view Bequest Basics and Sample Bequest Language. 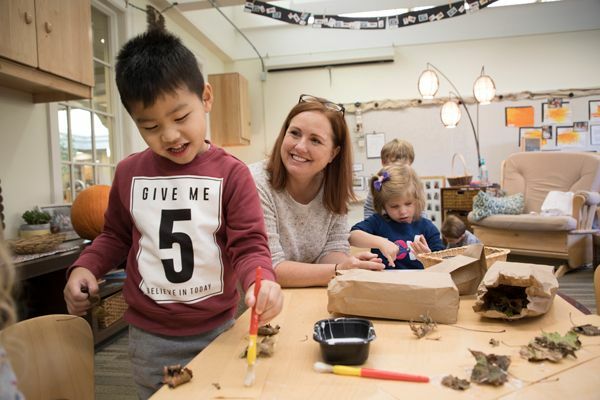 Since Hawken School’s inception in 1915, many alumni, parents and friends have taken the concept of introducing the next generation to “a higher plane of life” to heart by including the School in their estate plans. Perhaps no one individual has made a more significant impact than Henry Sheffield, a prominent attorney/philanthropist who befriended founder James Hawken soon after the School was organized. 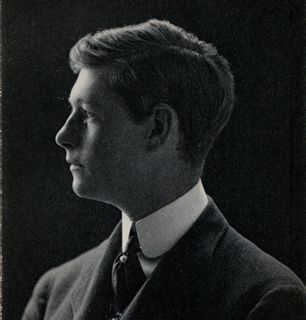 One of the earliest trustees of the School, Mr. Sheffield made numerous gifts over a span of nearly six decades. His first of many annual fund gifts to support operations was made in 1918; nearly sixty years later, upon his death, an estate gift was presented to the School. Together, these generous gifts over his lifetime have a present value in excess of $10 million. We honor his philanthropic legacy by naming our planned giving society for him. The Sheffield Society (previously known as the Hawken Heritage Society) recognizes individuals who have included Hawken School in their estate plans. Click here for more information.